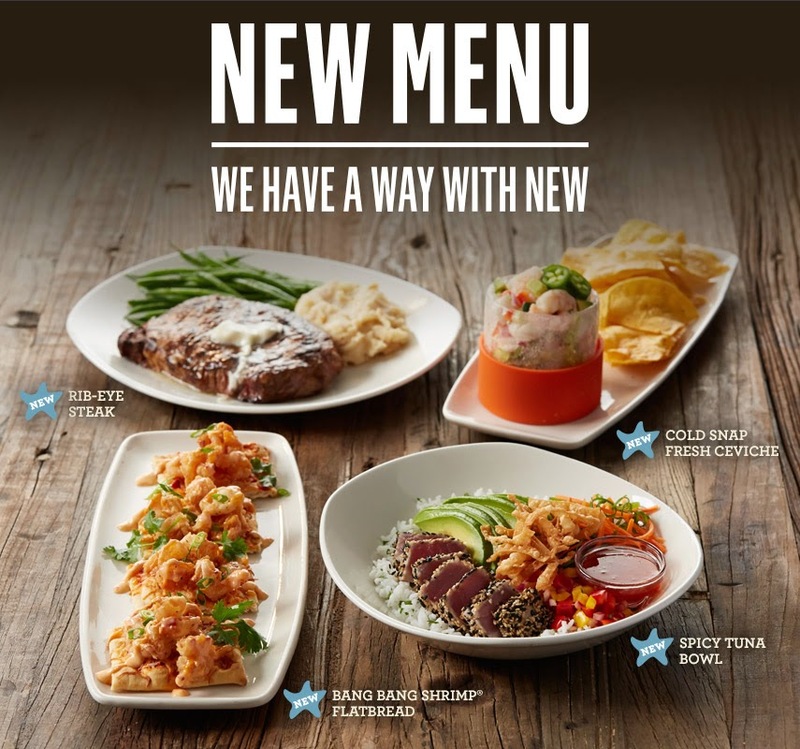 Everytime Bonefish Grill gets a new menu item, we head over as quick as we can. 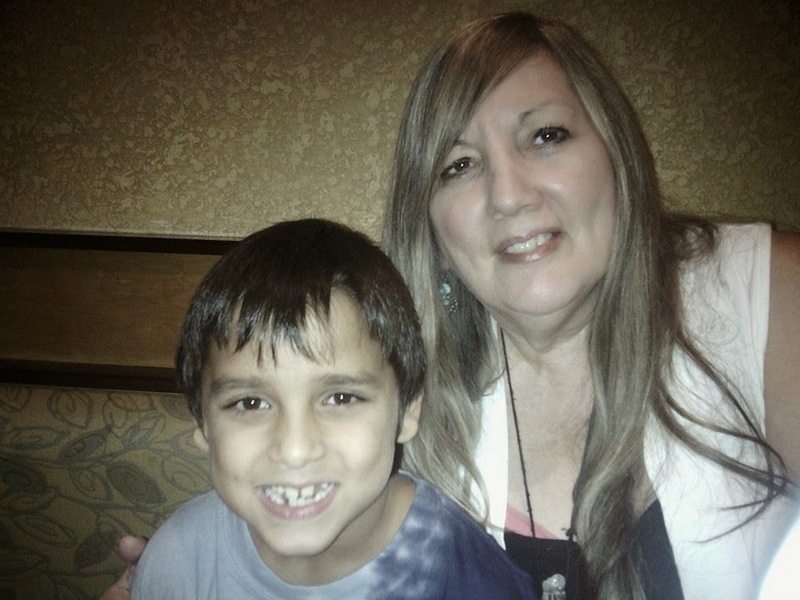 We love everything so far on the menu, and have enjoyed everything new as well. I love that the kids like it (they just wish they had a kids meal steak!). 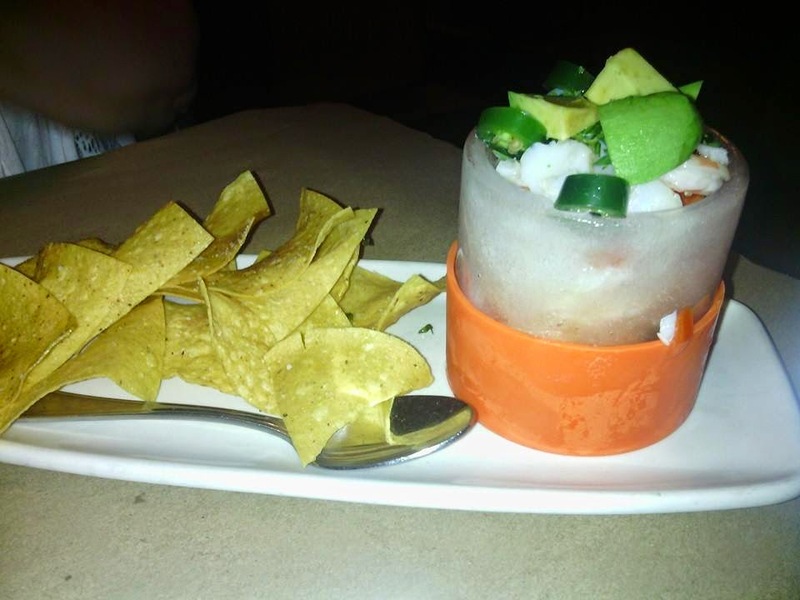 We were recently invited to check out the several new menu items and can't want to tell you about them! We started off with the Bang Bang Shrimp (of course!) but this time with a spicy sauce and mozzarella cheese on a flabread. 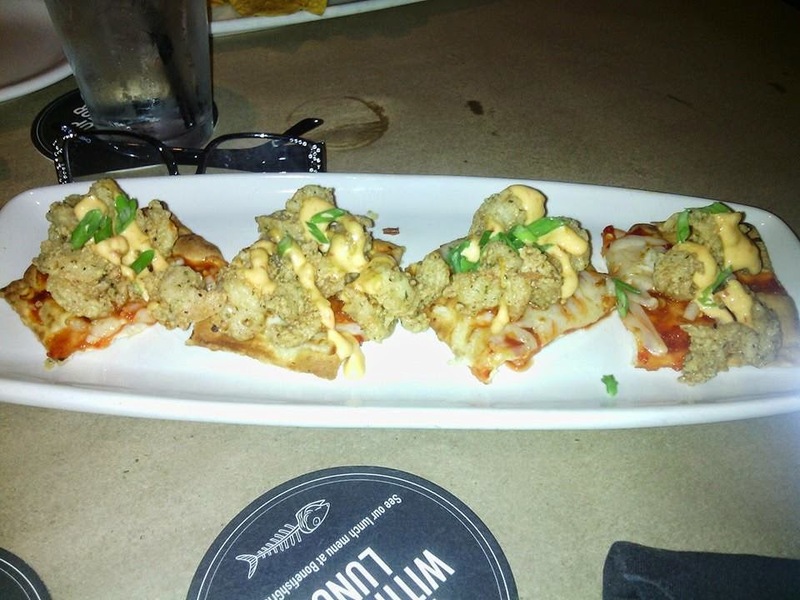 This Bang Bang Shrimp Flatbread was the hit of the appetizer sampling! It's spicy for sure, so not for those who don't like a kick, it reminded us all of a pizza, but with our favorite shrimp on top. Definitely delicious! 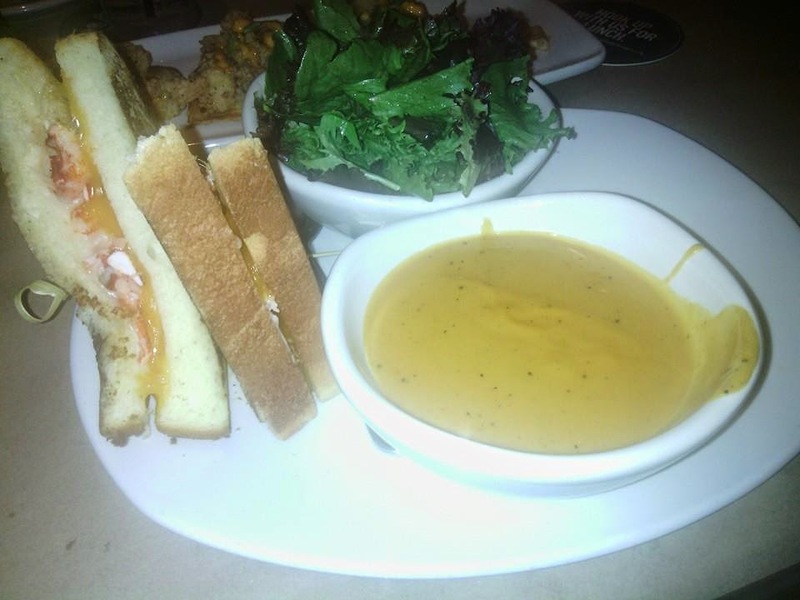 The Lobster Grilled Cheese is what I tried, and it was good. Packed FULL of lobster, and 2 different kinds of cheeses. Its served with a side salad and Lobster Bisque. We also tried the Cold Snap Fresh Civeche and it was SO good! So fresh and delicious.